If you thought that EE would have had a surge of subscriber activity after switching on the United Kingdom’s only LTE network, you were not alone. As it happens however, that was not the case. In fact, subscriber growth for the fourth quarter slowed down a bit compared to the previous quarter and the year prior for the number one carrier in the UK. 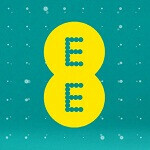 In the last quarter of 2012, EE added 201,000 new customers which was about 50,000 fewer than the third quarter of 2012 and over 100,000 fewer compared to the year prior. In a market as saturated as the UK (and Europe for that matter), the news was not as doom-and-gloom as subscriber numbers alone indicate. Now, more than half of EE’s customers are “post-paid” which is a positive for net-revenue. Smartphone adoption growth was up 9% and data revenues were still up as well. EE also noted that its 4G/LTE (4GEE) network rollout is ahead of schedule and that the new brand launch has created over 40% awareness in just two months thanks to an aggressive marketing campaign which included TV ads starring Kevin Bacon. While the customers may not have flocked, the revenue numbers look positive at least and that is not bad for a new brand and new network. Ridiculous prices though. I'd rather wait for the other networks to establish their 4G/LTE networks then see which of them have the most coverage. EE's coverage in my area (being amongst the cities they initially roled out in) is very bad according to their website. No point in splashing £30-£40 odd quid every month when the coverage isn't good. Add to that 4G connectivity would most likely eat your data, their lower monthly charges gives 500mb-1gb data. Granted it's 4G but I pay less with Three and get (true) Unlimited internet and get good connection.